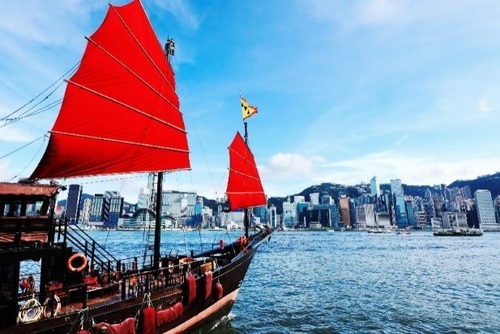 Soak in the vibrant pulse of Hong Kong, float down the Yangtze on a Chinese-style riverboat and walk the Great Wall with other others that share your appetite for adventure. 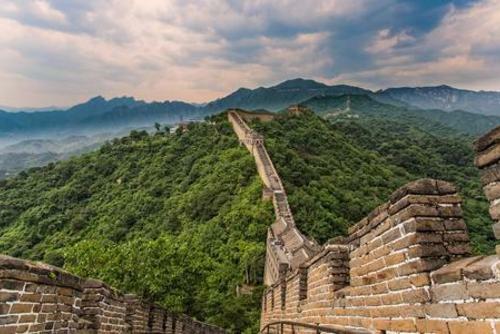 Enjoy 18 days packed with China's major sights and out-of-the way gems with the freedom to choose those that interest you. 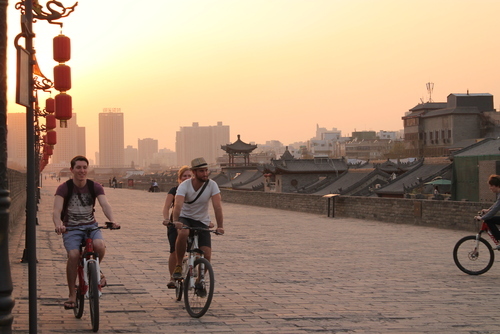 Cycle along Xian’s ancient city walls and through the stunning rice fields and limestone karsts of Yangzhou. Explore gorgeous scenery straight out of a painting or just relax and take it all in. Visit the lcoal market or catch the views of Hong Kong from Victoria Peak. Overnight train to Guilin (Yangshuo). Opt to cycle through the countryside of Yangshuo, experience a local cooking school, practice tai chi, or see an amazing evening light and sound show. Overnight train to Wuchang. 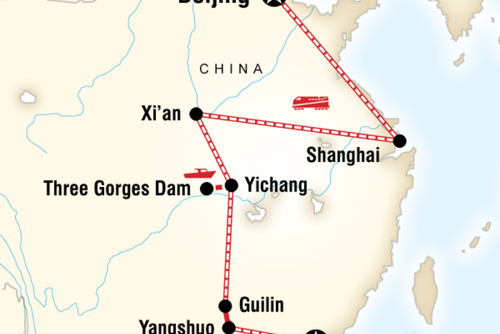 Full-day boat trip along the mighty Yangtze River to the Three Gorges Dam and Xiling Gorge. Overnight train to Xi'an. Take an orientation walk around this historical city. 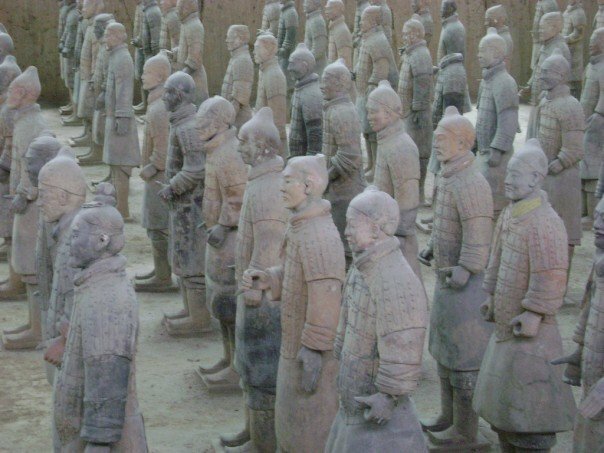 Opt to cycle Xi'an's ancient walls or visit China’s greatest archaeological treasures – the Terracotta Warriors. Overnight train to Shanghai. 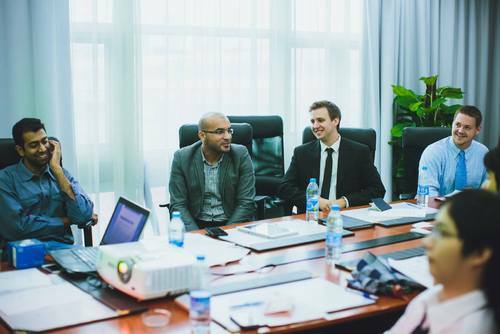 Enjoy an orientation walk around People's Park, and visit the Shanghai Museum. Free time to explore this vibrant and exotic city. Opt to witness the breathtaking Chinese acrobats. 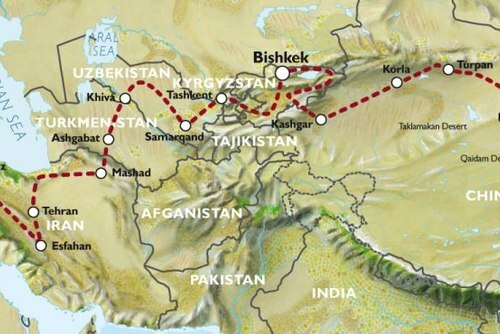 Overnight train to Beijing. 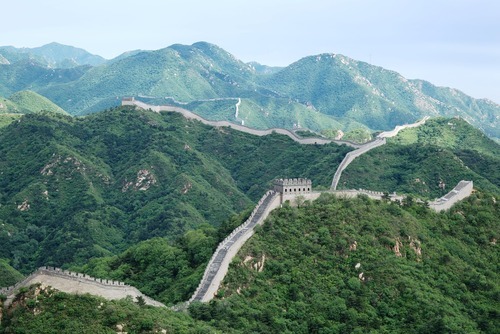 Visit the awe-inspring Great Wall of China. 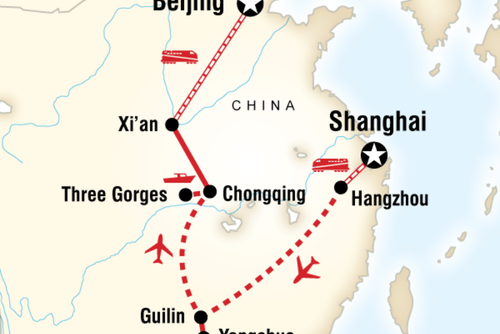 Free time to explore Tiananmen Square, the Forbidden City or the Temple of Heaven.